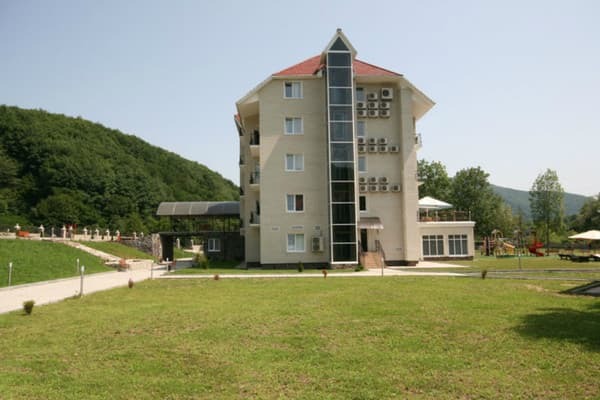 Hotel «Reikartz Polyana» is located in the foothills of the Carpathians, in the balneological resort of Polyana. 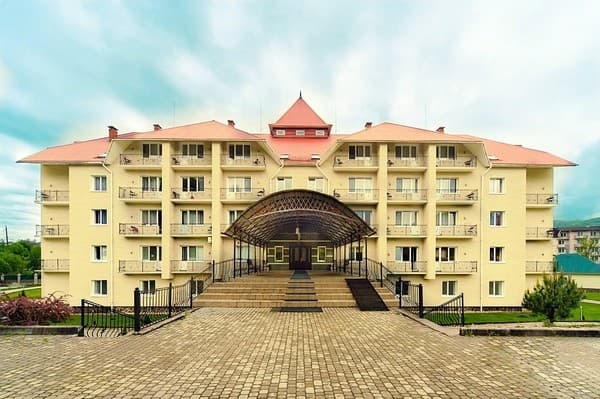 The hotel is a 4-storey building with 50 rooms, a conference hall for 40 seats, a SPA & Wellness center, an indoor swimming pool, a sauna, a pump-room with mineral water. There is a gym. The price includes breakfast. You can eat at a restaurant with traditional European cuisine. 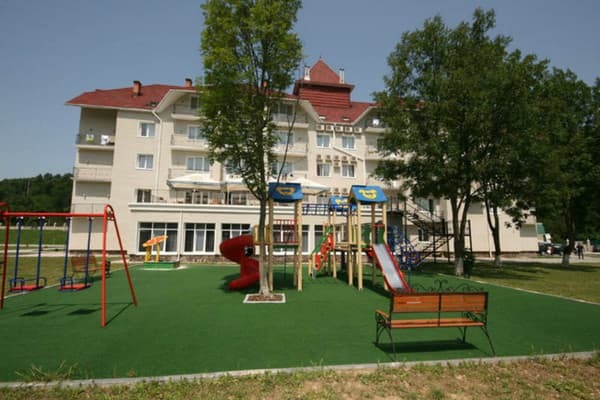 For children there is a playroom, a playground and a summer pool, animators. Free Wi-Fi is available throughout. At the front desk, you can book quad bike rides, hiking and many other excursions. 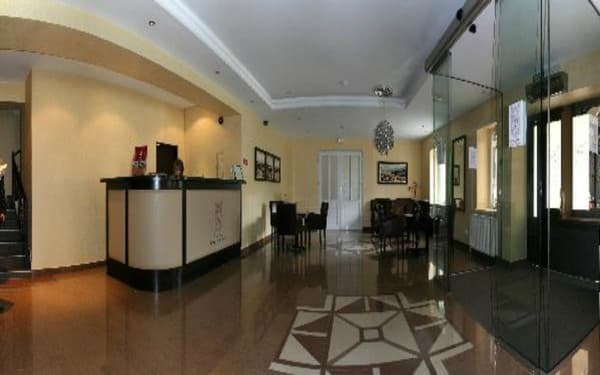 Description of the room: The area of ​​the room is "classic" 24 sq.m. Description of the room: The room is 24 sq.m. 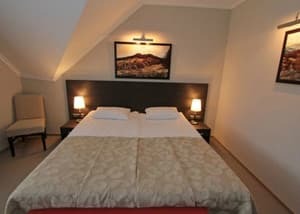 The room has 2 single beds or a double bed. 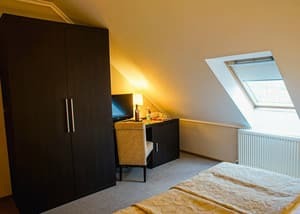 Description of the room: Area of ​​the room is 24 sq.m. 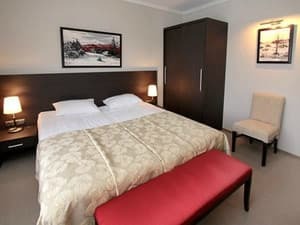 The room is equipped with a double bed or 2 single beds. 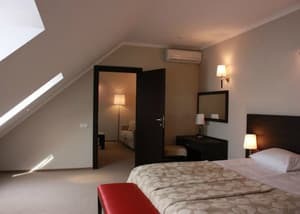 Description of the room: Two-room suite with the area of ​​34-38 sq.m. Children under 5 years old are accommodated in the same room as the parents without providing extra space for free. The cost of the extra bed is 300 UAH (including breakfast). You can eat in a restaurant with traditional European cuisine. The menu of dishes of Ukrainian and European cuisine. 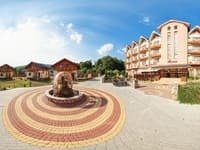 Hotel Reikartz Polyana is located in the picturesque valley of the Pina River, which is located in the Svalyava basin (foothills of the Ukrainian Carpathians). 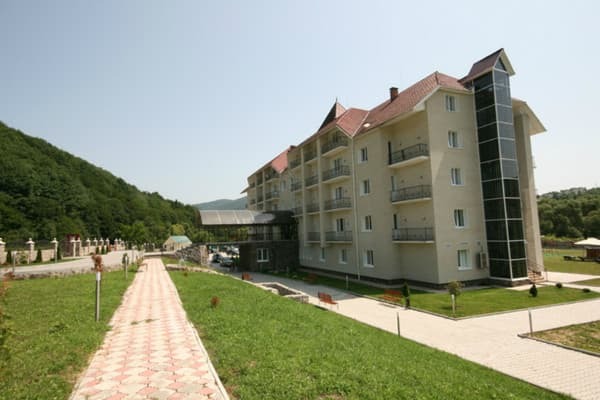 Distance from the hotel "Reikartz Polyana" to the nearest ski lift is 1.5 km., To the railway station - 10 km. On the basis of the hotel there is a SPA & Wellness center, which specializes in mud cure and balneology. Spa & Welness hotel center offers: solarium, therapeutic massage, physiotherapy equipment, complex programs of balneology and mud therapy. By train Kiev-Chop or Kiev-Uzhgorod to Svalyava station, then by shuttle or bus to Polyana (10.9 km) or Svalyava-Polyana transfer by prior notification. By car on the highway M06 Kiev-Chop through the cities of Zhitomir, Rivne, Lvov to the village of Nizhnie Vorota, Zakarpattya region (714 km). Continue along the M06 highway to the town of Svalyava. After the city, turn right in the direction of the village of Golubinoye and Solochin. The village of Polyana is located in the village of Solochin.